DePaoli’s latest: Pens gauging market for long-term fits? — The Penguins on Thursday were not closing in on any potential deals, according to team contacts. An Internet report surfaced Thursday night that the Penguins and Minnesota Wild were close to a deal. The Penguins are not believed to be involved in trade discussions with the Wild at this time. Activity though has picked up for the Penguins who are for certain to add before the February 28th deadline. — All signs still point to the Penguins in the end adding rental players at the deadline, but GM Ray Shero is said to be at least gauging the market for potential available players with term left on their contract that could be fits long-term with the Penguins. Some inside the organization see the available cap space this season due to Malkin’s injury as an opportunity to add a need beyond this season. I would like to caution that the the inquiries I’m told are just preliminary at this point but the Penguins are regarded to have pinpointed at least two targets. One player that intrigues the Penguins is believed to be Panthers center Stephen Weiss who has a cap hit of $3.1 million for the next two seasons. Pittsburgh has been scouting Florida heavily over the past 7-10 days. Will touch base more on Weiss on Friday but the belief is Pittsburgh’s not willing to give up the needed assets to seriously get into the mix for Weiss. Los Angeles and Washington are among the team’s showing strong interest in Weiss. — The Penguins believe a cap hit in the low $3 million range could be manageable for next season but anything approaching $4 million + is not considered feasible. That keeps them out of the mix for the likes of Ales Hemsky who is not on the Penguins radar. There continues to be doubts that Penguins will be able to pull off a move for a high impact forward with term left on their contract as the team continues to show no interest in moving their key asset Alex Goligoski, while top prospects Simon Despres and Beau Bennett are off limits. However, sources indicate Eric Tangradi is definetely in play and at least one of D-men prospects Brian Strait or Robert Bortuzzo would be in play for the “right player”. Despite significant defensive depth at the NHL level, the Penguins would be hard pressed to move Bortuzzo who team officials are very high on. 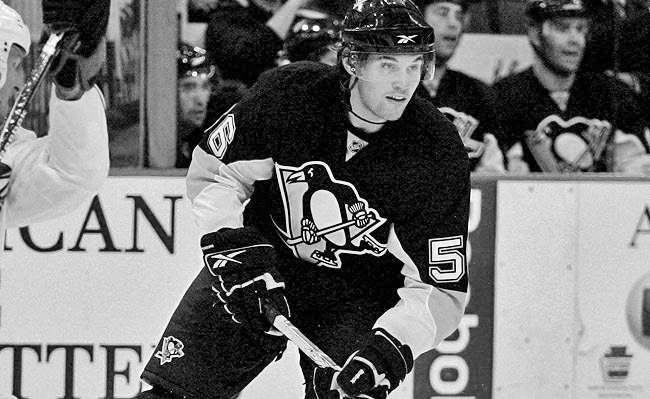 — Former Penguin Jarkko Ruutu was dealt to the Anaheim Ducks today for a 6th round pick. The lack of return for Ruutu came as a surprise to some around the league. Even with the low asking price, the Penguins were not in position to move on any role players at this time. — According to the Associated Press, NHL commissioner Gary Bettman will not get into a public debate with Mario Lemieux over league discipline. Lemieux, the Pittsburgh Penguins owner, recently said that the NHL failed in its punishment of the New York Islanders following a fight-filled game between the teams last Friday — and went so far as to question whether he wanted to stay in the league.